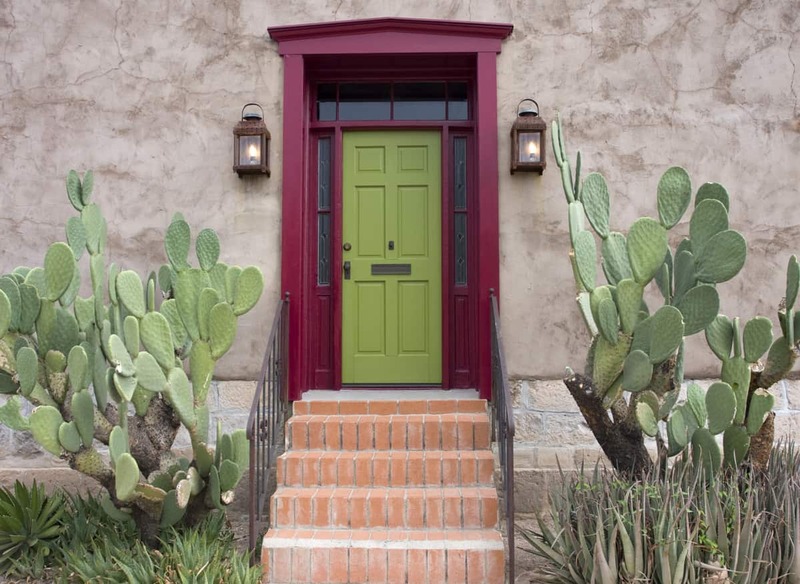 Take your home to a bold new level by trying out one of these unexpected, but surprisingly perfect, color palettes. Did you know that you could mix red, white and blue with black-and-white stripes? Find out how. Although often seen as a softer, more pastel shade of pink, coral is actually a pretty vocal and vibrant color. 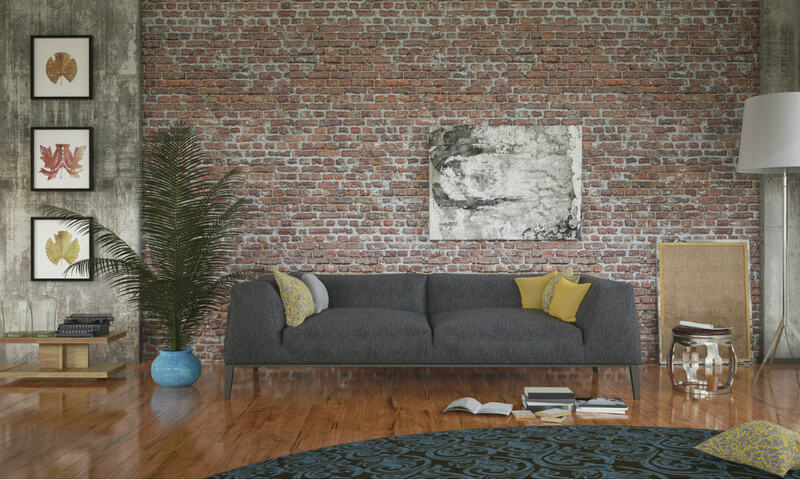 This sea-inspired hue stands out with both darker and more subdued colors, like pale yellow, seafoam green and gray. 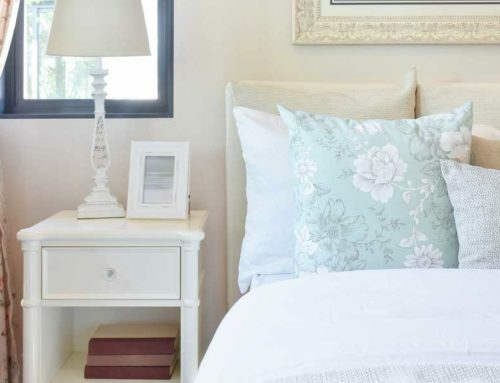 In this traditional bedroom, designer Tobi Fairley mixes this peachy shade with both emerald green and stark white for an especially eye-catching effect. 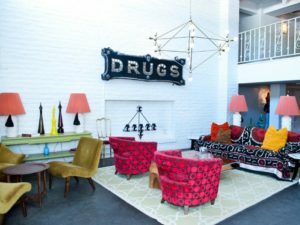 She uses coral around the room through punchy accessories, like the pillows, throw and desk chair. 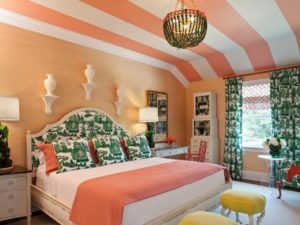 The white-and-coral ceiling stripes really pull the entire look together. 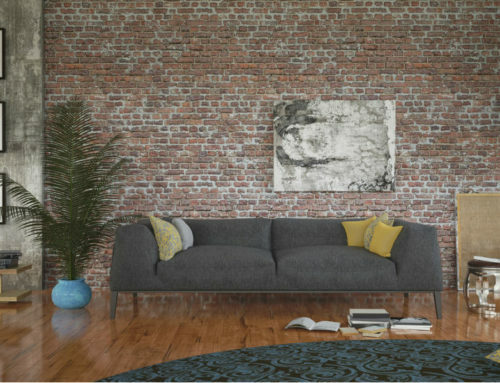 When designing a room, a jolting shade of tangerine and various shades of blue may not be the first color combination that comes to mind. However, the two pair very well together when used correctly (and won’t make you feel like you’re cheering for a sports team). 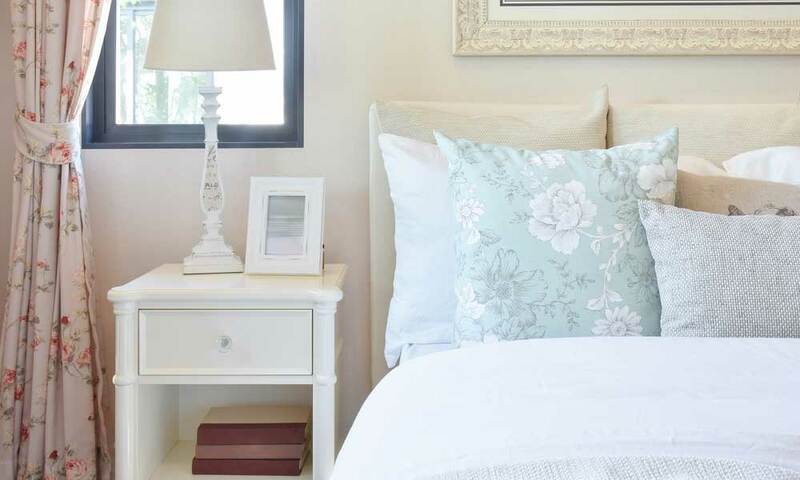 In this room, think of the subdued and grayed shades of blue as neutrals. 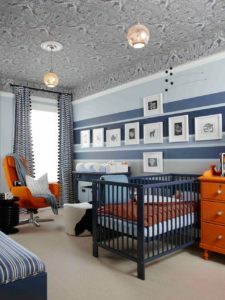 The tangerine chair, crib mattress, and changing table are now beautiful, vibrant accents among soft blue surroundings. Designer Sarah Richardson adds just the perfect amount of orange accessories to create that shot of color. Designer Tobi Fairley takes a daring approach when choosing the color scheme for this preppy/traditional entryway. First, she uses bright red frames on the wall for the most noticeable burst of color. 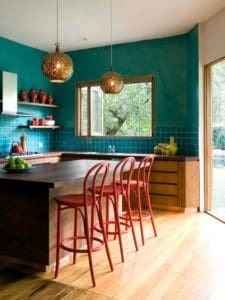 Then she coordinates with a bright blue chair with red trim. 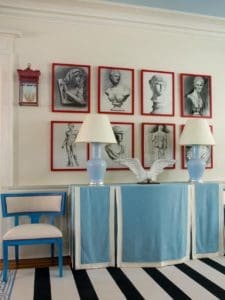 The surprise comes when she adds a sky-blue and white console table and a black-and-white-striped rug. Red, white, blue and black can absolutely work together!